Martha (Emily) Crocker Spivey ’54, wife of former College President Robert A. Spivey, passed away Wednesday, November 2. 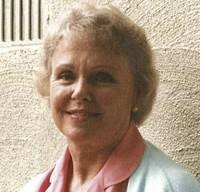 Martha Emily Crocker Spivey, 83, of Tallahassee, Florida, died on Wednesday, November 2, 2016. She was born in Suffolk, Virginia, on December 7, 1932, to the late Henry Butler Crocker and Katherine Beamon West Crocker. After graduating from Randolph-Macon Woman’s College in 1954, she married Robert Atwood Spivey, also of Suffolk, who survives. Other survivors include their three children and spouses, Hope Crocker Spivey and Jeff Stephenson of Palmetto, Florida, Matthew Lee and Lisa Applegate Spivey of Tallahassee, Florida, and Paul Atwood and Cynthia Hicks Spivey of Palm Coast, Florida; five grandchildren, Sarah Crocker Spivey Stephenson, James Fechet Stephenson, III, Robert Andrus Stephenson, Bradley Atwood Spivey, and Lee Ann Spivey; nephews, G.S. Hobbs, III and Ronald Atwood Spivey; nieces, Katherine Cottingham Hobbs and Elizabeth Leigh Hobbs; three great nieces, Meredith Prince Harris, Martha Caitlin Prince Antinori, Sarah Rebecca Hoffman, Meredith Spivey Parks, and Amanda Spivey Rogers, and numerous other family members, especially in the West family. By way of comment, she excelled at the “little things,” above all her relationships with family and friends. She was at home in church, including Sunday School, the Altar Guild, especially teaching with little children, and the Monday Night Group. She worked as a secretary for Pitney Van Dusen at Union Seminary, at the Institute for Social Policy Studies, under Leo Sandon, and as entertainment coordinator at R-MWC. Her sabbatical years first took her to Germany, and later to England. Her other hobbies included tennis, swimming and bridge. Above all, in family and friends she lived with an amazing capacity for grace and love. A memorial service will be held on Saturday, November 5, 2016, at 10:30 a.m. at Deer Lake United Methodist Church. A burial service will be at a later time in Cedar Hill Cemetery, Suffolk, Virginia.